The club council want to hear from you. Our focus in the next business plan period is to look at how we organise club activities to increase the participation of existing club members and to attract new members. We are delighted to announce the arrival of Livia Everly Hume born at 8.46 on the 23rd July. Mother , baby and father all doing well. Datchet Village Fete is on tomorrow 4th July starting at 12.30 in the grounds of Churchmead School It is a fabulous family fun day. This Sunday, the club is running the Fleet Championships. Due to a lack of competitors from the CAT fleet (all good reasons) we have decided to run our championships later in the year. The other fleets will still be competing this Sunday. The likely date for us, is Sunday 20th September, but I will confirm this to you all ASAP. It is with great sadness that I inform you of the death of PJ who died after a long illness. PJ was the club steward for over 25 years. Today we saw a wonderful schools cup. 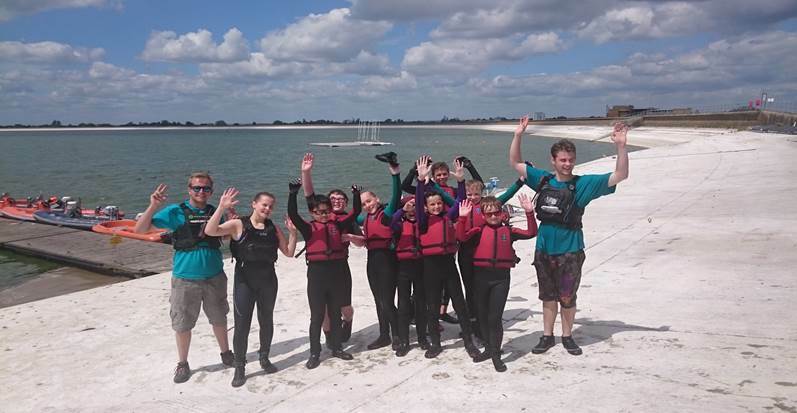 It is a bright Sunny Day with 12kts of wind and defending champions Fulham Prep took on the combined London area schools team in a 4 race extravaganza. The results came in after all four races as a win for the Combined London Area Schools Team. Fulham Prep made a gallant effort to defend their 4 year reign as schools champions but fell just short of retaining the title. The racing was finished off with a fun race to the pontoon which saw all the participants and an instructor make it back to shore in one boat finishing the day on a big high for all. Datchet Water Sailing Club would like to thank all that took part for making it yet another great and memorable schools cup. The fleet championships is on Sunday the 5th of July. The first start will not be before 10:25am. The schedule of races will be 2 back to back in the morning then lunch and 2 further races back to back in the afternoon. We look forward to seeing you all attend and competing to be the 2015 Fleet Champions. We are looking for a race officer for this Sundays Racing. If you are available to do this or know of anyone who can, please call the club on 01753683872.